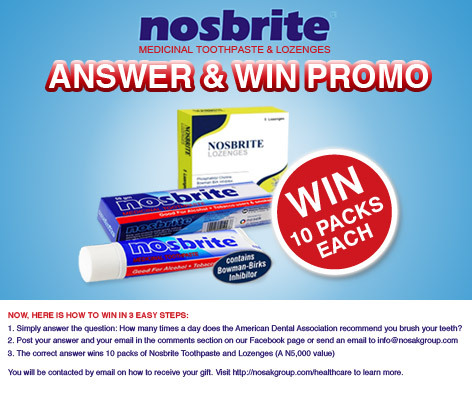 Win 10 packs of toothpaste and 10 packs of Lozenges in the Nosbrite “Answer and Win” Promo!! Nosak Group Management Retreat, 2015. Theme: The Next Phase: Transforming Nosak Group for Growth and Market Leadership Date: 6th & 7th February, 2015. Facilitator: Vital Solutions Consult Inc: A leading organizational diagnostics and solution provider.